Three music distributors have each been sentenced to three years in prison and fined 200 million rials (approximately $6,600 USD) for “insulting the sacred” and “propaganda against the state” by a Tehran appeals court. Mehdi Rajabian, Hossein Rajabian and Yousef Emadi were under intense pressure to make televised “confessions,” the International Campaign for Human Rights in Iran has learned. Mehdi Rajabian, Hossein Rajabian and filmmaker Yousef Emadi—all managers of BargMusic, one of the largest online producers and distributors of underground music in Iran since its launch in 2009—were sentenced by Judge Hassan Babaei of Branch 54 of Tehran’s Appeals Court. The court also sentenced them to a three-year suspended prison term. The source told the Campaign that Judge Babaei described BargMusic as an agent of “social corruption” and accused its founder, Mehdi Rajabian, of ignoring 90 warnings for promoting illegal music, including songs by female singers. The judge also accused the three defendants of having contact with “political and anti-revolutionary” singers abroad. “At the time of his arrest Mehdi Rajabian was recording the history of the setar [string instrument] in Iran. They confiscated all his work on hard drives when his personal music studio was shut down. Hossein Rajabian was also arrested when he had just finished his first film. They took away everything associated with the film, which was made with permission,” said the source. The Appeals Court hearing, attended by a representative of the Revolutionary Guards, took place on December 22, 2015. The sentence is final and has been passed on for enforcement, a source told the Campaign. The three are currently free on bail. 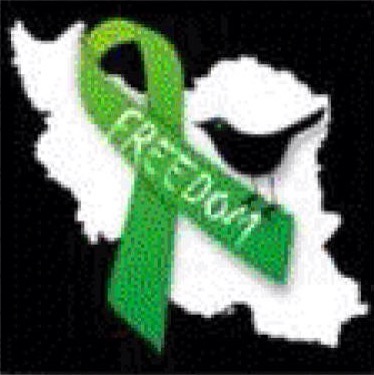 They were arrested by the Revolutionary Guards’ Intelligence Organization on October 5, 2013 and held for two months in solitary confinement at the Intelligence Organization-controlled Ward 2-A of Evin Prison. Mehdi Rajabian, Hossein Rajabian and Yousef Emadi were initially sentenced to six years in prison and fined two billion rials (about $66,650 USD) in May 2015 by Judge Mohammad Moghisseh of Branch 21 of the Revolutionary Court in a trial that lasted only 15 minutes.